Lawyer Daniela Azzopardi says the new child protection law should ensure that children who have been abused by their relatives are not forced to speak out in front of them. A planned new child protection law should ensure that children abused by their relatives are not forced to speak out in front of them, a lawyer who drafted an earlier version of the law has warned. “During the consultation process held before the first draft, one of the children said of his relative: ‘I don’t know what he’ll do if he learns that I am speaking to the board and to the social workers against him,” lawyer Daniela Azzopardi Bonanno told this newspaper. “The child said: ‘I tell the social worker how afraid I am… kind of scared he will come to know as he often threatens me that if I say something he would send me abroad. He did it to my brother and he didn’t bring him back and I don’t know where he is now’”. In 2014, former family minister Marie-Louise Coleiro Preca had presented a Bill which Dr Azzopardi Bonanno had helped draft. However, the Bill was put on hold and is now being amended under Minister Michael Farrugia. The provision of a Child Advocate in the new proposals was a step forward, the lawyer said. However it was not clear whether the child, or the advocate, would be expected to voice their wishes and views in front of the perpetrators or alone. Dr Azzopardi Bonanno also warned against limiting to one sitting the hearing of the child’s evidence in front of the Court of Magistrates. “Children who have been abused by the individuals within their family unit do not go about speaking about their experience openly. They are in absolute fear of what will happen if they speak out, they would be in denial. Dr Azzopardi Bonanno insisted they should be empowered and given the right setting and protection to speak out. She was contacted by this newspaper after social workers expressed concernsabout the new version of the long-awaited Bill passed on to the Maltese Association of Social Workers last month. In a statement, the MASW said that it had established a team of social work professionals working in the child welfare area to study the proposals and report back. Experts complained of lack of consultation before it was drawn up. The amended draft, as did the first, provides for improved safeguarding of children’s rights, including child protection orders. 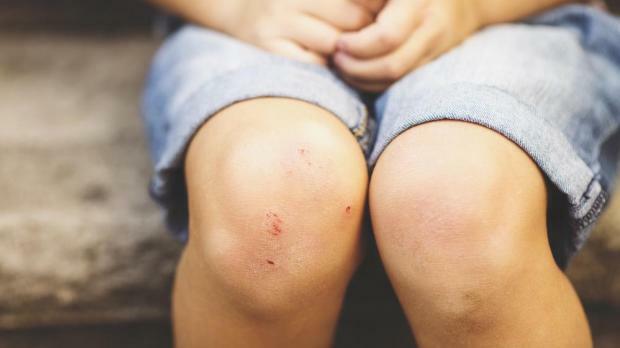 However, Dr Azzopardi Bonanno is worried by the part which states that the views of the child should be taken into account when the child is “considered as having sufficient understanding”. It was not clear, she said, how and who was going to determine if the child had that understanding. From the consultation process that was carried out before the first draft was issued in 2014, it was very clear that children were not aware of what a care order was, why they were removed from their family home, and what would happen next. They would have “sufficient understanding” if a professional explained the process in child-friendly language. The latest draft, however, demonstrated “the same patronising approach to child rights: ‘They are just children; this is beyond them’. And yet children who came to the consultation process before the first draft stated clearly that they were not given sufficient information,” she said. Others are more aware of what is going on: “They give us a safari and a cake and think they’re going to shut us up,” one of the children said when referring to the Children and Young Persons Advisory Board. Asked about the most worrying issue in the fresh proposals, Dr Azzopardi Bonanno noted that they still provided for an extensive involvement of the minister. In fact, the Fostering Board, the Board of Appeal from this board, the assistants to the Court of Magistrates, the Care Review Board and the Board of Appeal from this board are all appointed by the minister. The minister could also remove of the appointed members for “not properly performing his duties” – a statement that was open for interpretation, she noted.